How to search for files in a directory based on extension using Apache commons-io API in Java ? 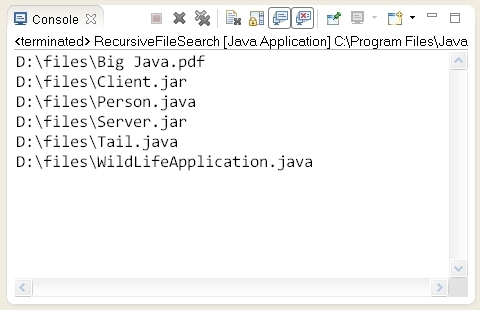 Program to demonstrate how to search for files in a directory based on extension using Apache commons-io API in Java. // the file created above. How to handle Mouse Click events in Java ?. Write a Java program to print Padovan Sequence.